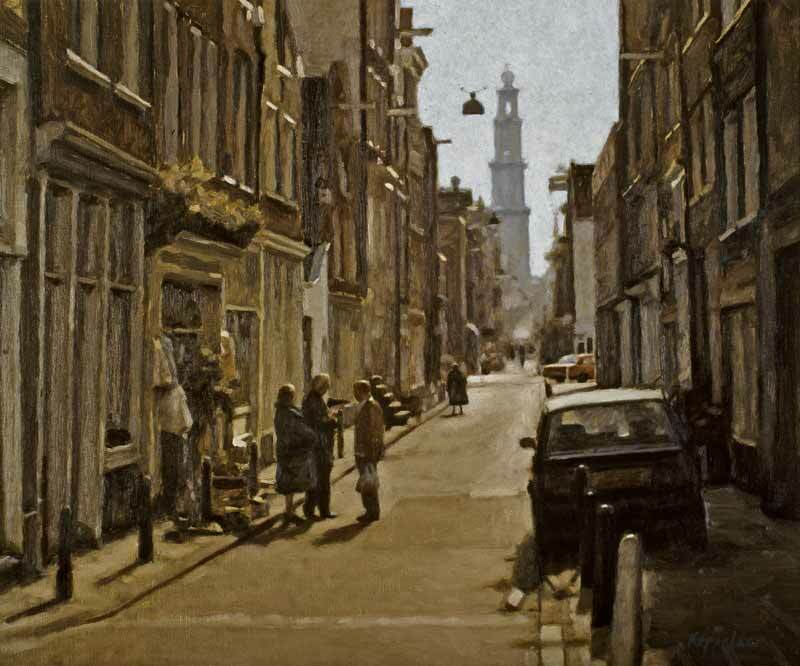 At noon a spring sun is shining on this street scene in the Amsterdam Jordaan. The owners of a second-hand shop have put their trade outside and are having a conversation with a passerby. In the distance, the composition is completed by a silhouette of the Westertoren.